SEOUL (Bloomberg) -- Hyundai Motor Co.’s sales fell for a third straight month, dragged down by a slump in overseas deliveries as unfavorable currency exchange rates undermine its ability to compete against Japanese automakers. Deliveries fell 1.2 percent to 408,026 vehicles last month from a year earlier, according to a regulatory filing today. Overseas sales declined 2.2 percent to 345,224 units, while deliveries at home climbed 4.8 percent. Hyundai has struggled this year from a stronger won and weaker yen that has given a competitive edge to Japanese rivals such as Toyota Motor Corp. The South Korean automaker is responding by cutting costs and production, while planning to boost its SUV lineup to take advantage of the recent worldwide boom. 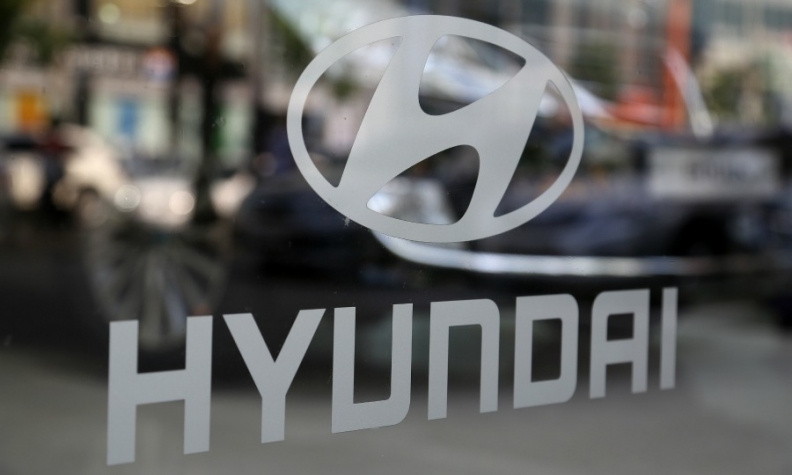 “Competition among carmakers is becoming fiercer as growth slows in emerging markets and uncertainty rises amid currency fluctuations,” Hyundai said in an e-mailed statement.